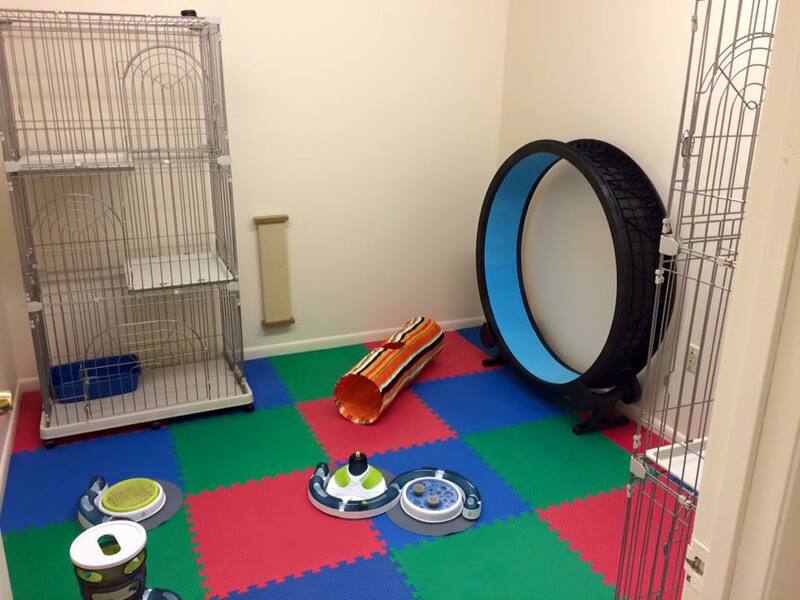 We offer Cat Boarding in our video monitored kitty room. With over 17 years of caring for cats & kittens you can be at ease knowing your cat or kitten is in good hands. We offer large three tier cages to house your cat while your away with plenty time to play and exercise in the kitty boarding room. We are certified in Dog and Cat First Aid & CPR by the American Red Cross and are experienced in administering medication, clipping nails and general grooming. ​We have limited space so contact us early to guarantee your stay! We also offer group and private Kitty Socialization Classes, you and your kitty will learn socialization skills, how to train your kitty, kitty agility and leash walking. Our 60 to 90 minute long workshop meets once per month for $35.00. Contact us for the next Kitty Socialization & Training Workshop!